Proven brand builder with progressive career in Fortune 100 companies. Diverse industry experiences and accomplished product portfolio management skills, including international markets, have resulted in exceptional ROI. Proactive change agent with recognized leadership talents, consensus-building abilities and influencing capabilities. Astute business and financial acumen, as well as outstanding communication and problem-solving skills. Thrives in fast-paced culture providing innovative strategies, fresh ideas, and insightful perspectives. 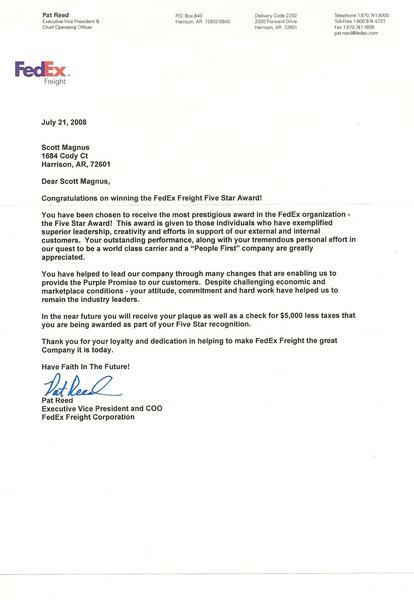 2008 FedEx "Five Star" Winner – the most Prestigious FedEx Annual Award. Led "National" rollout of Red Dog and Icehouse, 2 of Miller Brewing’s most successful new brands. 800% increase in Fisher Hamilton’s "new" products by creating dynamic go-to-market strategy. $1 million revenue growth (6 months) at FedEx through the creation of demand generation program. Business turnaround through analysis, differentiation, repositioning, and e-commerce implementation. Secure a marketing leadership position within a customer centric matrix organization where I can utilize my diverse industry expertise, strategic and creative thinking, and entrepreneurial orientation and abilities to drive profitable organic growth. Managed and developed a team od six marketing managers within a matrix organization that optimized products at FedEx Freight through their product life cycle, and collaborated with FedEx companies to successfully market all freight products throughout North America. Grew revenue, profits and market share by creating innovative programming to enhance market leadership position, in a declining industry. Selected to lead key Cross-OpCo projects such as U.S. Domestic Freight Product Rationalization Core Team. Reported to VP of Marketing. Held P&L responsibilities. Generated $68 million in revenue, an $8 million (13%) YOY increase - developed Marketing Plan focused on driving employee engagement through enhanced measurement and reporting tools. 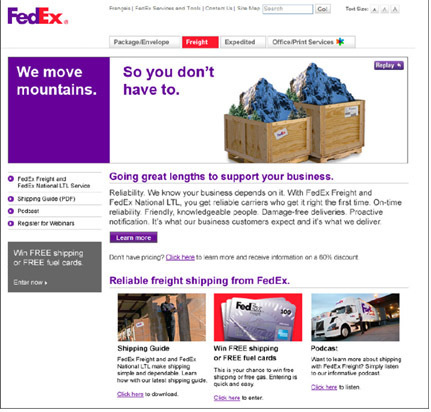 Produced $11 million in incremental revenue on the FedEx National LTL and Canada campaigns – through account segmentation, "ground breaking" customer offers and dynamic print and web e-marketing. Launched cohesive go-to-market strategy – led US Domestic Freight Product Rationalization Cross-OpCo Project Team. Integrated web and off-line applications. Conducted competitive assessment, trend identification, SWOT, product positioning, segmentation, services gaps/overlaps, profitability/market share analysis. Common Website – drove the creation of a single on-line face to enhance the customer experience for both FedEx Freight and FedEx National LTL. Winner of the "Best of the Best" and "Peer" Awards for outstanding marketing leadership and excellence. Designed strategic IMC plans and messaging platforms aligned with business objectives. Developed communication strategies to enhance corporate brand image. Managed and coordinated relationships with ad agencies, vendors and all print resources. Reported to Senior Manager, Marketing Communications. Generated $4.3 million (143%) increase in incremental revenue in the Cross-OpCo FedEx First and Goal program - developed/executed comprehensive Integrated Marketing Communication (IMC) plan that included full integration of the sales channel. Launched FedEx Freight brand into Canada – spearheaded development of electronic and print communication pieces, collateral and transit maps. Recognized with an Extra Mile Award. Initiated small business "value proposition" creation – secured small business funding for freight centric customer research - Fred Smith (Chairman) identified this segment a key priority for the global enterprise. Managed all dynamics of marketing mix for Fisher Hamilton, the world’s leading manufacturer of laboratory furniture and airflow products. Responsible for development of strategic marketing plans including select international markets. Managed a $20 million budget and agency relationships. Reported to VP of Marketing. Increased revenues 17% in declining market with the successful roll out of new products. Generated 37% cost savings– implemented comprehensive cost-benefit analysis. Grew incremental sales 41% in underdeveloped channel via creative web-based direct marketing campaign. Responsibilities spanned all aspects of business acumen including strategic planning, marketing, product development, marketing research operations management, technology research, sales management, vendor negotiations, and personnel development. Supervised team of 10 + individuals. Full P&L accountability. Ignited sales 300% and profits 170% while reducing costs 26% over 8 years, despite declining market. Improved productivity and efficiency – drove repositioning strategy, developed creative marketing plans, aligned focus on cost containment, and managed aggressive vendor negotiations. Increased referrals by 32% – developed effective Customer Loyalty Program. Generated 26% increase in "new" customers – targeted campaign including direct mail / e-mail. Grew e-commerce business to 17% of total sales over 3 years– aggressively drove e-marketing initiatives (search engine optimization, e-zines and banner ads). Designed creative marketing plans that drove brand awareness and volume and share growth in a 6-state region. Accountable for new brand/package introductions, local media creative development, strategic pricing, volume forecasting, consumer promotional overlays, sponsorship opportunities, and direct marketing. Provided strategic direction to the promotional and advertising agencies. Managed 2 pricing analysts and an assistant brand manager; held dotted-line authority over 2 Sales & Marketing Planners. Spearheaded roll out of 2 of the most successful introductions in company's history - attained 5.4% market share on Red Dog and 22% market share on Icehouse, versus brands' national shares of 2.1 and 10.7. Grew premium brands in supermarkets, c-stores, drug store and mass merchandising channels by 23% through leveraging existing properties through custom point-of-sale, packaging and radio and outdoor. Increased premium volume 15% versus 6% - segmented key packages in targeted channels. Implemented key brand/media strategies and creative marketing plans to grow a relatively new brand to become a nationally recognized top 10 brand. Responsible for entire marketing mix including brand analysis, pricing, new brand package rollout, design changes, channel specific P.O.S., and directing outside agencies and vendors. Managed a $90 million budget to within +/-5%. Responsible for a Pricing Analyst and a college intern. Grew portfolio of brands from a 5.1 to a 13.3 share of market despite declining market. Secured 50,000 new accounts – drove a Nationwide Concentration Day distributor incentive supported by a motivational sales video, customized P.O.S., and market-specific sell sheets. Secured improved supermarket share from 17.7 to 23.6 by initiating core packaging re-design. Improved brand awareness 43% over 3 years – targeted creative initiatives across all media.